Your Eminences, Your Excellencies, Father Rosica, distinguished guests. Thank you for the very warm welcome. Thank you, Father Rosica, for your gracious invitation and hospitality. 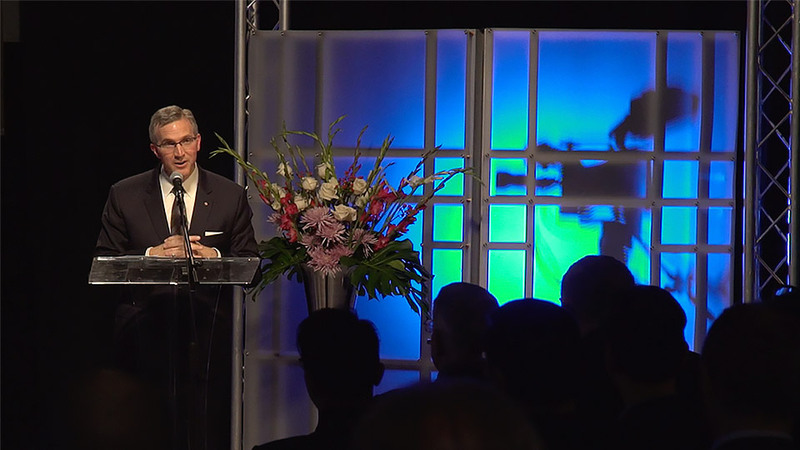 It is a great honor for me to be here for this important milestone in the life of Salt + Light. Supreme Knight Carl Anderson sends his hearty congratulations and warmest regards to all of you this evening. He sincerely regrets that he is unable to be with us to celebrate this evening. 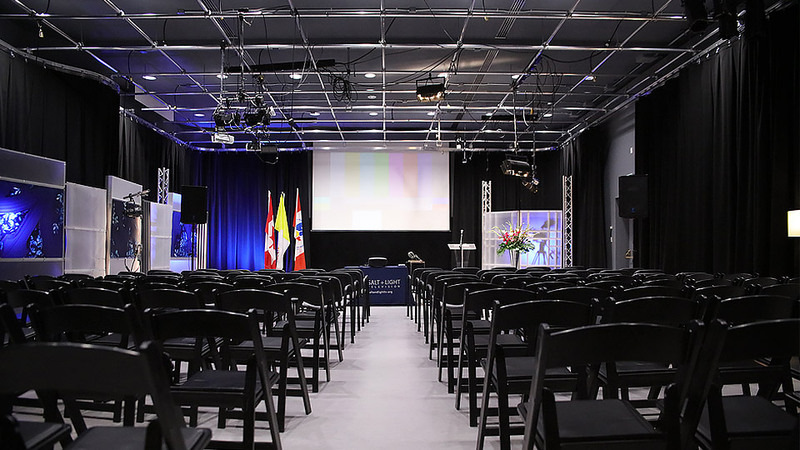 The Knights of Columbus is deeply honored that the broadcast studio in Salt and Light’s new headquarters has been named for our founder, the Venerable Father Michael J. McGivney. On behalf of the nearly 2 million members of Knights of Columbus and their families, I thank you for the very special honor. In this year’s World Communication Day message our Holy Father Pope Francis reminded us that we must ‘read’ reality through the right lens. And for Christians, he said, that lens can only be the Good News of the Gospel of Jesus Christ. We are here this evening, in part, to celebrate Salt + Light’s faithfulness to reading reality through that lens. We are all aware that Salt + Light traces its origins back to 2002 and the World Youth Day celebration in this city. It was at that time that Supreme Knight Carl Anderson joined forces with Father Rosica to help make World Youth Day a reality in Canada. The entire Church is aware of the tremendous value that each World Youth Day has in fostering vocations. So many priests and religious – as well as married couples – trace the beginnings of their vocations to a particular World Youth Day. But World Youth Day in Toronto in 2002 did even more. For in addition to the many personal vocations that came out of those important days, another truly remarkable vocation emerged: and that is the unique vocation of Christian broadcasting in Canada and the founding of Salt + Light by Father Tom Rosica, bringing to fulfillment the vision of the Gaetano Gagliano and his family. Since that time the Knights of Columbus has been privileged to partner with Salt + Light on dozens of projects, including emmy-award winning documentaries, coverage of papal journeys, Eucharistic congresses on three continents, and our annual supreme conventions. Father Rosica has been a friend to the Knights of Columbus and a valued partner in so many ways, and we are deeply grateful for his leadership and untiring work as a herald of the New Evangelization. I also want to take this opportunity to express our deep gratitude to Father Lombardi for his many years of service to the Church, and to express how honored we were to work with him on the visits of both Pope Benedict XVI and Pope Francis to the United States. And I would also like to especially recognize and thank Cardinal Wuerl, Cardinal Lacroix and Cardinal Collins for their steadfast support of and dedication to the Knights of Columbus over so many years. And so, this evening as we dedicate this new headquarters it is a special time to reflect upon the great witness that has been Salt + Light, and to look forward to the many good things to come.